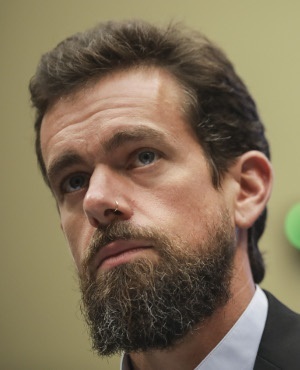 "There’s a lot of confusion around our rules and around our enforcement," Dorsey said during solo testimony at an afternoon hearing in the US House of Representatives focused on content decisions. "We intend to fix it." Facebook and Twitter have drawn vast audiences and built their businesses for years by touting themselves as open forums for debate and free expression, yet their revenue has mainly depended on opaque ad-targeting and data-collection practices. As they work to become more open and satisfy lawmakers’ demands, the companies are walking a fine line - pledging to improve transparency while stopping short of promising they can solve the problems that made the hearings necessary to begin with, such as abuse, misinformation and manipulation. The companies have heard many of the questions before, but several new lines of inquiry emerged. Members of the Senate Intelligence Committee asked, for example, why the companies can’t let users know when they’re talking to a bot - an automated account - as opposed to a human, as a way to expose foreign activity. Facebook, which is more practiced at answering such questions after CEO Mark Zuckerberg endured 10 hours of testimony over two days in April, had Sandberg deliver some of his same talking points, such as explaining that the company has invested in hiring thousands of workers to improve its security procedures, including its content policies. When questioned about some of the worst content Facebook has hosted, Sandberg agreed with the senators that she was disappointed to find it on the social network. Ads that discourage people from voting have "no place on Facebook," she said, nor does discriminatory advertising, even though Facebook’s systems can’t guarantee they won’t appear. It would be difficult, Dorsey said, to reliably label bots because it’s possible to program an account to act like a human. Twitter sometimes fails to sufficiently prioritise the take-down of violent posts or tweets selling drugs, he added, a problem exacerbated by the company’s focus on election meddling. It also needs to put less of a burden on the victims of hate and harassment to report abuse, he said, and all of the companies should have regular check-ins to share tips about foreign interference. Threats of government action may also have sent the shares tumbling, Twitter’s in particular, as Dorsey signaled he’d be willing to have conversations with lawmakers on some regulations, such as those around bots, that the company might find difficult to comply with. Lawmakers also raised the possibility of pushes for privacy legislation. And in a surprise move between the two hearings, the Justice Department issued a statement saying it is convening meetings with several state attorneys general "to discuss a growing concern that these companies may be hurting competition and intentionally stifling the free exchange of ideas on their platforms." The companies say they face robust competition, although antitrust scrutiny is one of their biggest fears. Still, it’s not clear how the government could enforce open debate on the platforms. US President Donald Trump has been suggesting the government could take vague action over what he claims is censorship of conservatives by social-media companies. Both Dorsey and Sandberg reject the contention, but the allegation - or the dismissal of it - was a key theme for several lawmakers on both sides of the aisle throughout the day. Yet Dorsey struggled to explain how the company was approaching its problems. When asked how many people he employs to moderate content, he said, "we don’t want to think of this in terms of people." He said he would get back to the committee with more information. Technological jargon and talk from Dorsey about the hundreds of "signals" that contribute to content decisions also occasionally frustrated some members of Congress, which has long pushed for the platforms to become easier for consumers to understand. "It’s a little like ‘Wizard of Oz,’ and we want to know what’s going on behind the curtain,” said Representative Greg Walden, who chairs the House Energy and Commerce Committee, which held the second hearing with Dorsey. The appearances by Dorsey and Sandberg stood in contrast to the absence of Google at the morning hearing. The Senate panel had invited Larry Page, CEO of parent company Alphabet Inc, but Google tried to send its chief legal officer, whom the committee rejected as insufficiently high-level. The company opted to leave an empty chair at the hearing. "At the end of the day it’s going to hurt their reputation," Senator Mark Warner, the top Democrat on the committee, told Bloomberg TV.